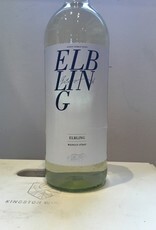 Elbling is an ancient varietal. Few folks left in the Mosel making this lipsmacking, mineral wine. Thank goodness for Kellermeister Furst for their continued support of the underdog. Chill well and serve with salads and the like. From the importers mouth( David Bowler Wines): Elbling is a great old Germanic wine grape with a long history traceable to imperial Roman times. It used to cover much of Germany’s vineyards and was that country’s most cultivated variety until the early 20th century. Today its range is limited to the cool, steep banks of the Obermosel (southern Mosel) river valley and neighboring Luxembourg—where the Mosel discreetly becomes the Moselle. 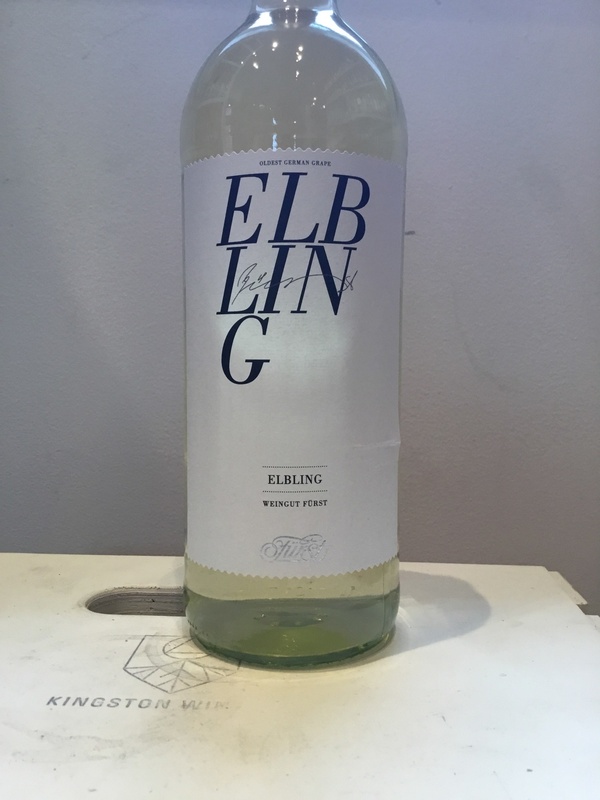 Born in shell limestone, light bodied, low alcohol, and dry as a vodka martini, Elbling is like a Teutonic answer to Muscadet—-perfect for chilled oysters, river fish, and light summery fare like salads, raw foods, fresh greens and grains. Inexplicably, it has remained unsung outside its local borders…. until now. Fürst Elbling Trocken is jazzy and expressive, true to the variety and exciting to drink with just 10.5% alcohol and a rapier-like 7.5g acidity. Dressed elegantly in a black and white LITER BOTTLE, it’s the quintessential summer party drink.